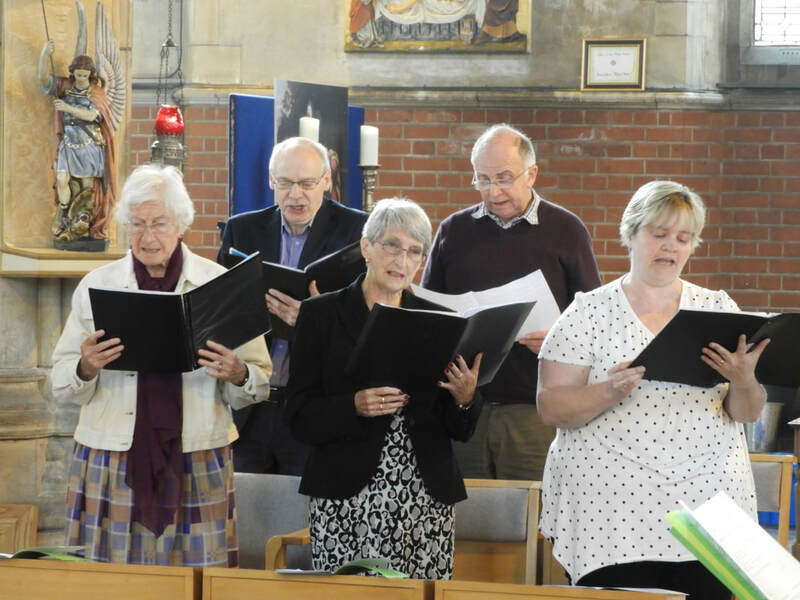 The Worship at All Saints is both traditional and yet contemporary, with a mix of modern and traditional music, ceremonial and informality. 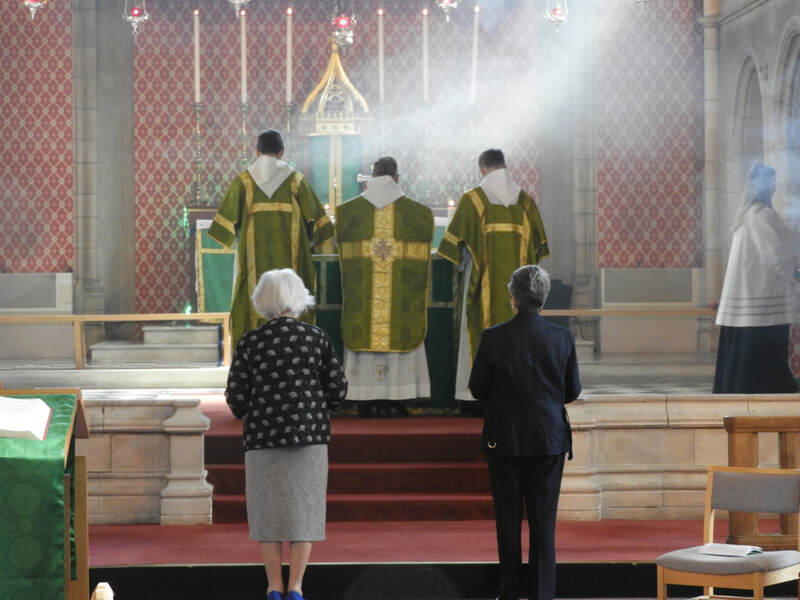 Our worshipping life is based around the Celebration of the Eucharist (Mass, Lord's Supper) and supported and strengthened by the Recitation of the Divine Office (Morning and Evening Prayer of the Church). The Blessed Sacrament of the Altar is reserved for the worship of the faithful, and available for the sick and housebound. 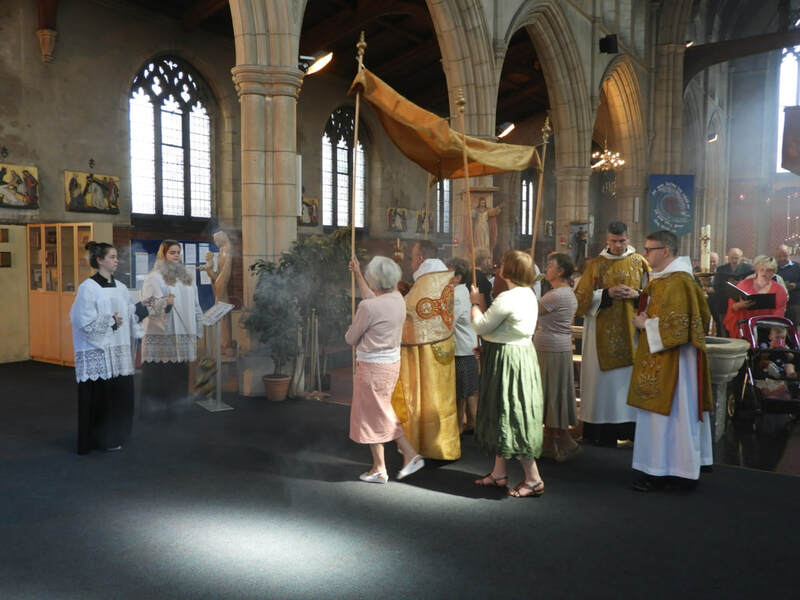 We uphold the catholic teaching of the church as the Church of England has received it in its historic formularies. The Holy Oils are available for annointing. A priest is also available for the Sacrament of Reconciliation (confession) on Saturday Mornings or by appointment. All people are welcome at All Saints, regardless of age or background. There is a Creche and a Sunday School held during the Sunday Mass. We like to express our Christianity in a joyful way and have fun. We like to eat, drink and be merry, whilst being mindful of those less fortunate than ourselves, and we will welcome whoever comes, offering our friendship and support . The PCC passed the resolution under the pastoral measure, and are cared for by the Bishop of Fulham.